WRC2 Champion Skoda Motorsport has moved its operations into a new headquaerters in the Czech Republic town of Mlada Boleslav. The purpose-built 16400 square metre facility is close to Skoda’s manufacturing factory and includes a research and development department, a workshop, the team’s logistics offices and a customer showroom. 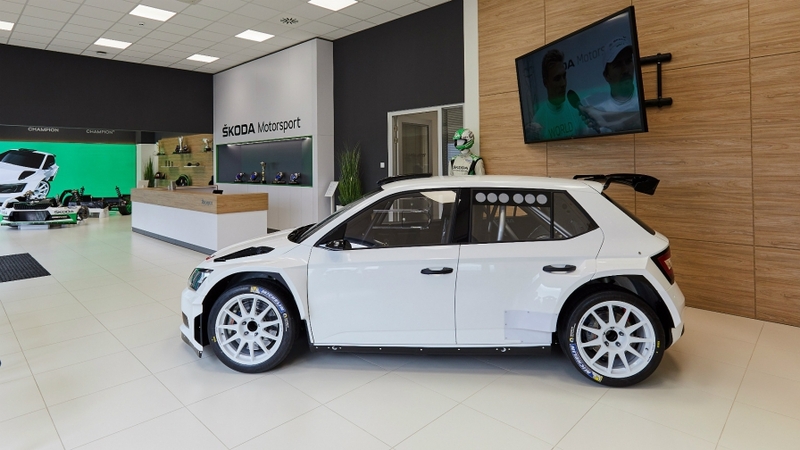 Skoda Motorsport has sold more than 250 of its all-conquering Fabia R5 cars and boss Michal Hrabánek said: “This brand new facility clearly demonstrates Skoda’s commitment to motorsport. The Fabia R5 has dominated WRC 2 for the last three seasons. Esapekka Lappi and Pontus Tidemand won the drivers’ world title in 2016 and 2017, while Jan Kopecký, Tidemand and Kalle Rovanperä claimed a clean sweep of the top three places this year.